The Colombo Telegraph (CT) reported that the President Maithripala Sirisena will have to lead the Sri Lanka Freedom Party’s (SLFP) campaign at the forthcoming polls to elect members to the local authorities, expected to take place at the end of the year. The CT further reported that the above development comes in the wake of former President Mahinda Rajapaksa who led the UPFA campaign in a losing battle against the UNP at the last general election deciding to hand over the reins to Sirisena. What does this mean? How different stakeholders would read this development, especially the UNP, people who voted for Mr. Sirisena at the last Presidential election, international players, the minority, the SLFP voters who voted for former President Rajapaksa at last elections, and the parties attached to the UPFA? Mr. Sirisena declared when he was contesting the last the Presidential election that he would not contest again. However, his decision to lead the SLFP at the forthcoming local polls indicates that the President Sirisena is looking for a new voter base to derive legitimacy to acquire his political power. This implies that the President Sirisena is not yet ready to end his political journey. Most probably, his next political battle will be against the UNP, the party that supported him to be the President of Sri Lanka. The decision by President Sirisena to lead the SLFP at elections is a challenging one. Primarily, he must clarify his ideological stance. Whether he would accept the Nationalistic ideology of 4.7 million voters who voted for former President Rajapaksa led UPFA or not? If he accepts, what is the position that the President Sirisena would like take in terms of proposed domestic inquiry into alleged war crimes? Would he support the new constitution, if it tries to bring a pro Federal line in terms of devolving power? Would President Sirisena allow the proposed Constitution to give more powers to the Prime Minister? 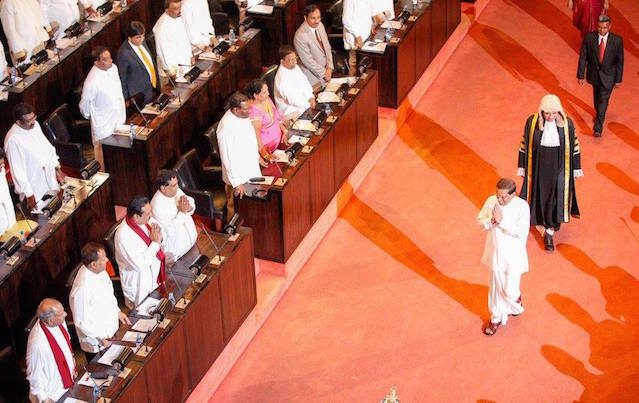 President Sirisena must clarify his stances in line with a more Nationalistic ideology, if he wants to derive legitimacy from the SLFP voter base. If President Sirisena to take a more Nationalistic position with regard to the above mentioned issues, what would this mean to the minority that supported him at the last the Presidential election? One of the points that the President Sirisena may put forward to convince the SLFP voters would be if he leads the campaign he could attract the minority support than the former President Rajapaksa. In fact, would President Sirisena attract the minority support, if he wants to take a more Nationalistic line? I doubt. If President Sirisena is to attract the minority support for the SLFP, he would not take a more Nationalistic stance with regard to sensitive issues such as the proposed domestic inquiry and the proposed new constitution. Then, how it would be read by the more Nationalist population that the President Sirisena aims to derive his legitimacy? Can President Sirisena convince the SLFP voters that the less Nationalistic line he wants to take is a mere political tactic? Then, would the minority be satisfied with President Sirisena’s sincerity? It is a challenging task for President Sirisena, no doubt. The other course of action available to President Sirisena is to take no ideological positions and to drag the proposed domestic inquiry and the constitutional reforms not until the next local polls are over, but at least until the next general election is over. Otherwise, the strategy has no use. Then, what would be the reaction from international stake holders of the President Sirisena’s Presidency and the stakeholders from the minority? 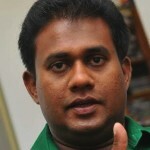 They would definitely rally behind the UNP and would extend their support to secure UNP’s victory. There is no doubt that the President Sirisena’s decision to lead the SLFP at the forthcoming local polls is a challenging one. What was the other option available to President Sirisena? He would have delivered what he promised during his Presidential election and should retire from politics as an honourable statesman. Yet, he changed his mind and now got entangled. How he should be detangled? It requires two things. First, the strategy should deliver President Sirisena’s current stakeholders aspirations. Second, the strategy should be able to derive support from the SLFP voters. What is the best conceptual framework to strategies a path to meet both opposing ends? The conceptual framework should find a middle ground for both ends. How should President Sirisena do this? First, President Sirisena should drop extreme items in the reforms list that cannot derive support from the SLFP voter base. 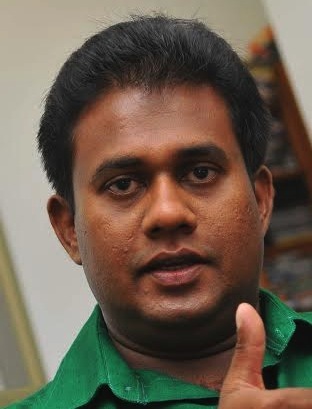 Second, President Sirisena should gradually bring the SLFP ideological stance to a middle ground through opinion makers who are appealing to SLFP voters. This endeavour takes time, definitely the objective cannot be achieved by the forthcoming local polls. Until then, the President Sirisena will remain entangled. *Dinesh D. Dodamgoda, a Fulbright scholar and a lawyer, has a M.Sc. degree from the British Royal Military College of Science, Shrivenham (Cranfield University) on Defence Management and Global Security. He was also an MP from 1995-2000. Buyer’s Remorse – Is The ‘Rajapaksa Brand’ Suffering?